An app has been developed that allows an ordinary smartphone to capture and display three-dimensional models of real-world objects. Instead of taking a normal photograph , a user simply moves the phone around the object of interest and after a few motions, a 3D model appears on the screen. The technology also allows the 3D capture of faces, giving a third dimension to portraits , profile pictures or images of loved ones. 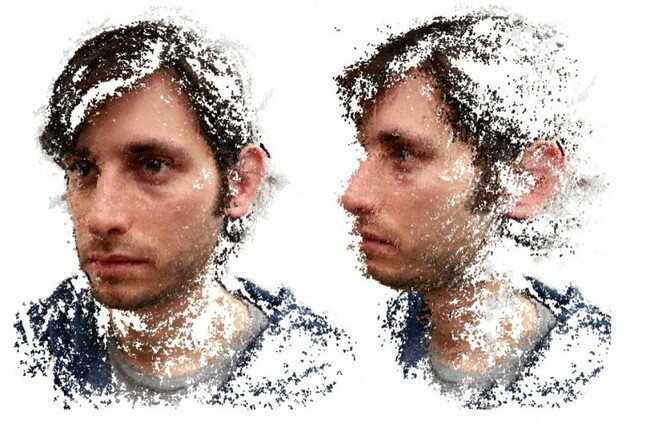 Marc Pollefeys, professor at the Institute for Visual Computing and his group at ETH Zurich developed a software that works with existing smartphone technology that allows the user to scan a 3D model almost as easy as taking a photograph. As the user keeps moving, additional images are recorded automatically and used to extend the 3D model. As all calculations are performed directly on the phone, the user gets immediate feedback and can select additional viewpoints to cover missing parts of the 3D model. "This is an important advantage compared to solutions that batch process all the images in the cloud at a later time," said Pollefeys.